After providing the necessary services, a contractor needs to furnish an invoice to the client. Typically, an invoice should mention the services that are provided and cost for those services. Total cost, along discounts or taxes, has to be mentioned in an invoice. Creating a proper Invoice Templates is a sign of professionalism. 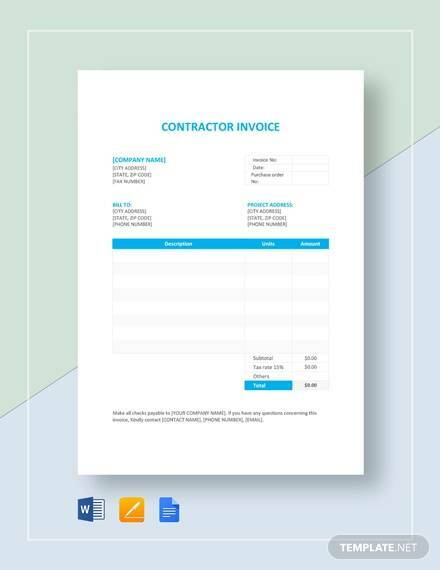 To create professionally formatted invoice, download contractor invoice samples. If you are a self-employed person who works on contract based jobs, you need to create invoice format for our clients. An invoice should look professional and well structured. The sample given above can help you attain this requirement. 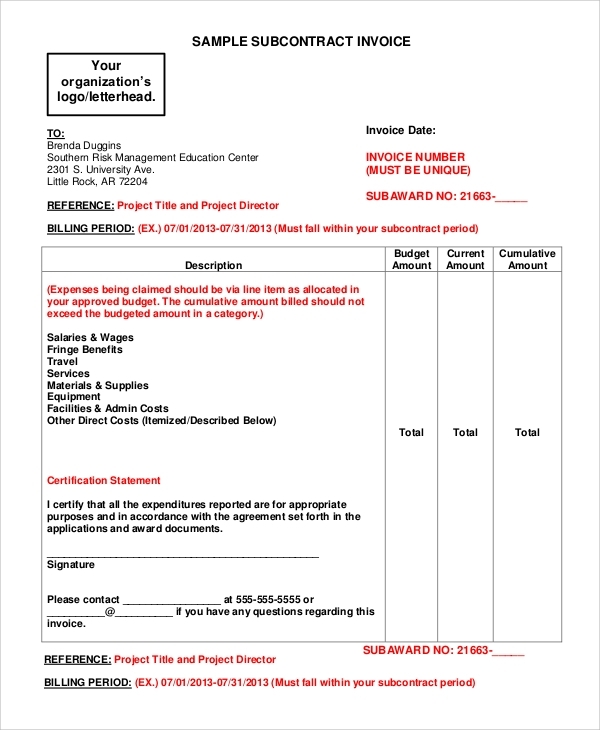 This PDF invoice template is easy to download and simple to customize. As available in PDF format, it is easy to be printed. 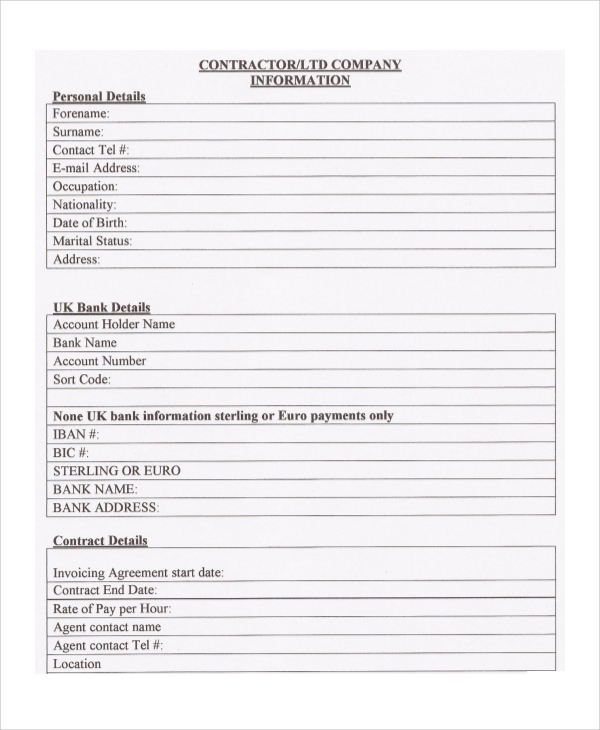 Simply use the template to create an invoice for a subcontractor. 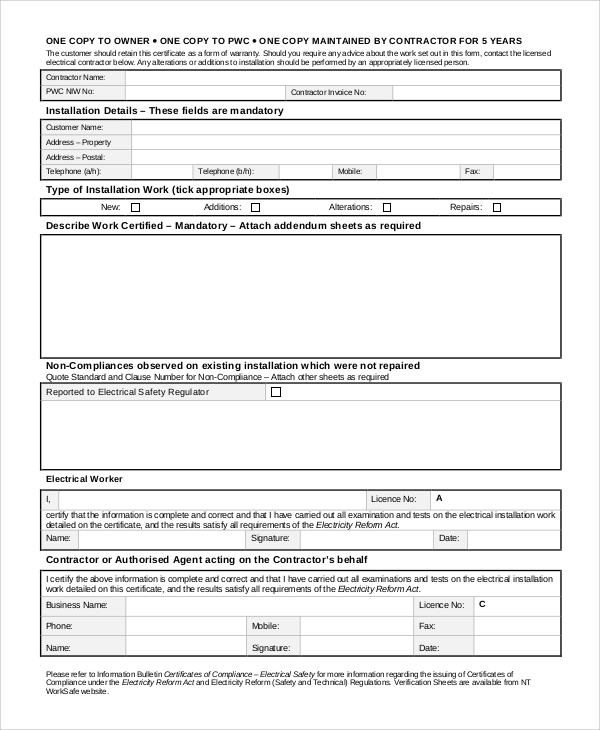 Electrical contractors can use this simple and professional invoice format to create their own unique invoices for the clients. Furnish professional and well-formatted invoice creates a good impression. Why is Contractor Invoice Important? For every person, who works on contractual jobs, it is important to have his or her own invoice format. An Invoice Templates can be defined as a piece of paper that has been furnished to clients by service providers. Typically, it should include the services that have provided to clients. 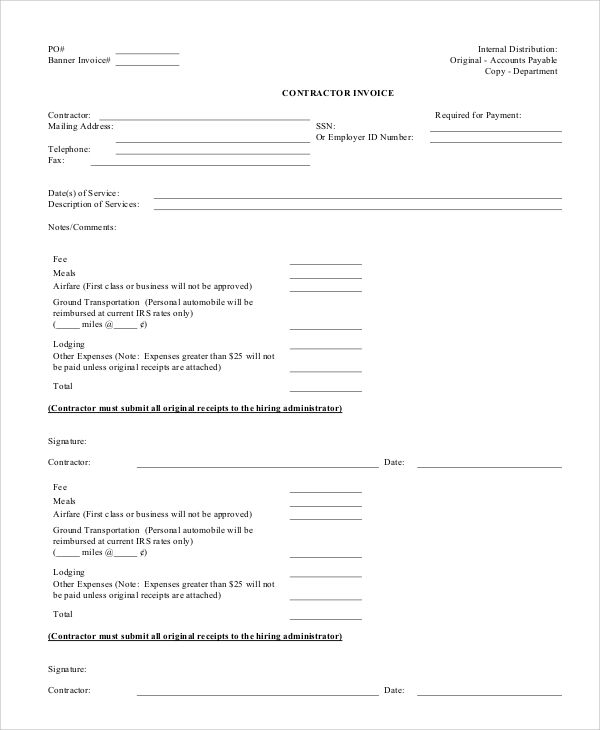 An Contractor Invoice Templates is a tool that can be used to make clients aware of the payable amount for the services that it has used or enjoyed. After buying a product, we use to get bills from the shopkeepers. Invoice is just a similar thing. After providing services, contractors furnish an invoice to clients, asking for the payment disbursement. There is no fixed guideline for creating invoices, though it should mention date and time. It should also carry a unique number. Generally, invoices are kept on serial number basis. 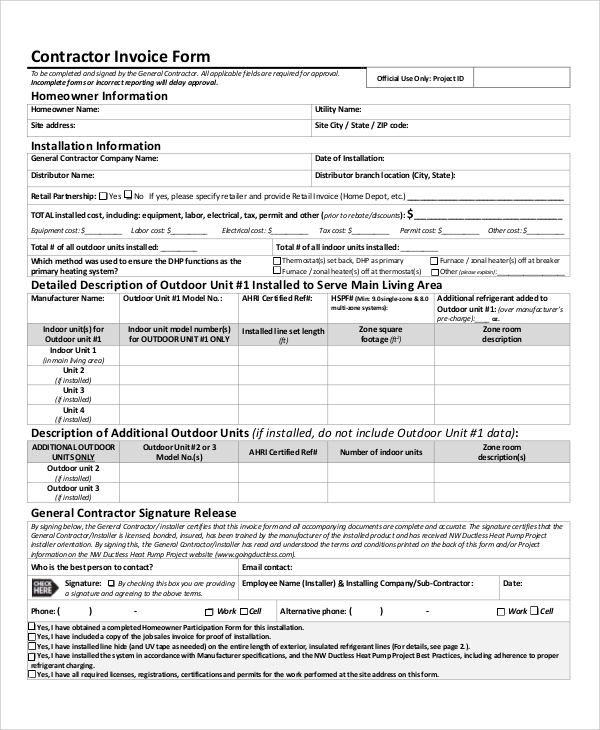 An invoice should come with authorized signature or stamp from the service provider. 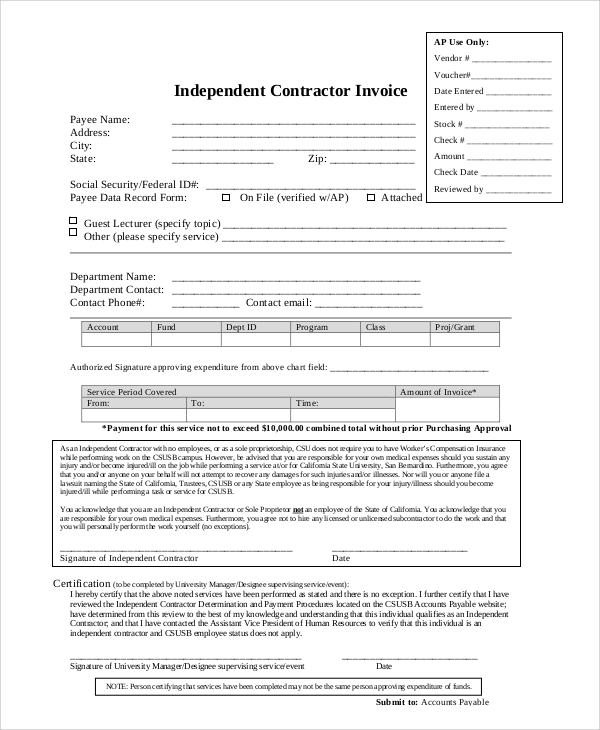 Why Should You Use Contractor Invoice Sample? To create an invoice, it is always a good thing to find online invoice samples or templates. Different types of service providers can find different kinds of invoice formats, matching their requirements or job profiles. 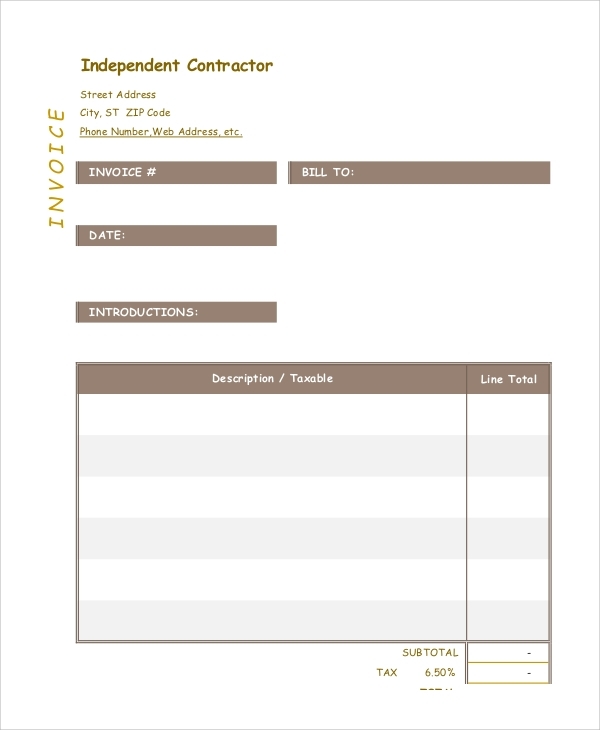 A freelancer or contractor needs to have his or her own unique invoice format or the clients. A professionally formatted invoice creates a good impression and sense of reliability in the minds of clients. Moreover, a well-formatted invoice carries more gravity than a piece of handwritten paper. Using sample or template saves time for creating an invoice. Moreover, it helps to make invoice format proper as well as accurate. An invoice is considered as an important document that has to be furnished to clients, who have opted for the services that you offer. An invoice should be detailed and properly formatted. It should come with a date, time, place and all other necessary details. Download PDF invoice formats, and create your own invoice with ease.